This Saturday night (4/20 !!!) Psyche Power Hour sees the Psychedelicized debut of Cosmic Colin with The Psychedelic Rainbow show! 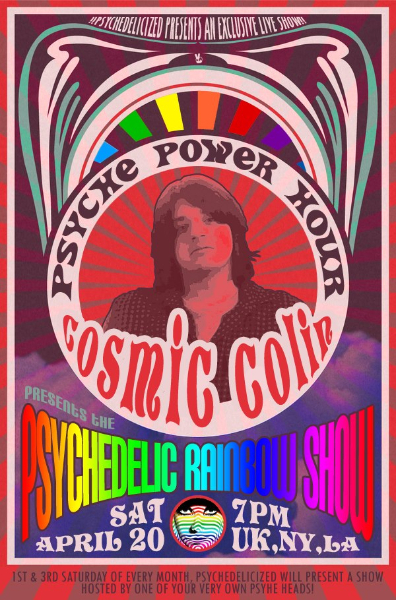 Join Colin for an hour long cosmic trip through the colours flashing through your mind. Featuring many tracks that aren’t yet part of the station playlist, it’ll be an informative freakathon, be there! 3 broadcasts, 7pm UK, NY & LA, this very Saturday, live and exclusive to Psychedelicized!